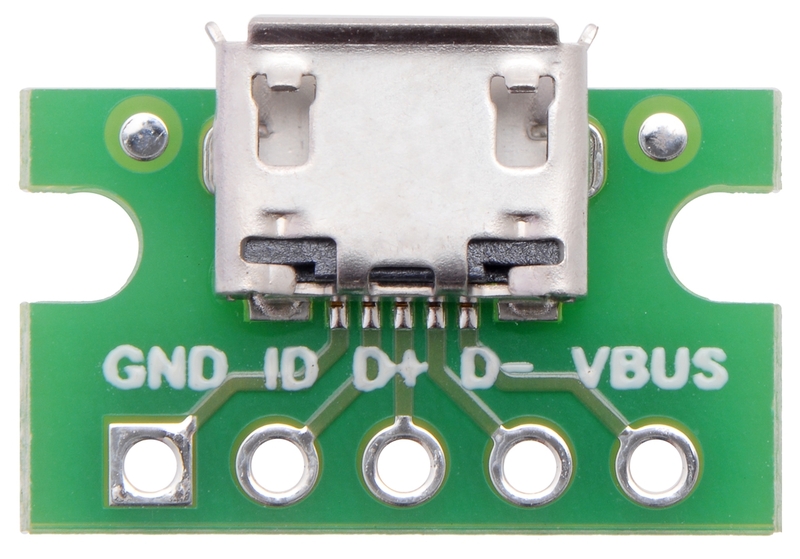 This board breaks out the VBUS, GND, D-, D+, and ID pins of a USB Micro-B connector. The VBUS and GND pins can be used to power your project from USB, while the D- and D+ pins give you access to the USB differential data signals. Each of these pins, along with the ID pin, are broken out into a 1×5 row of 0.1″-spaced pins on the board. The included 1×5 straight male header can be soldered to these pins to allow the board to be used with standard perfboards, solderless breadboards, and 0.1″ connectors. 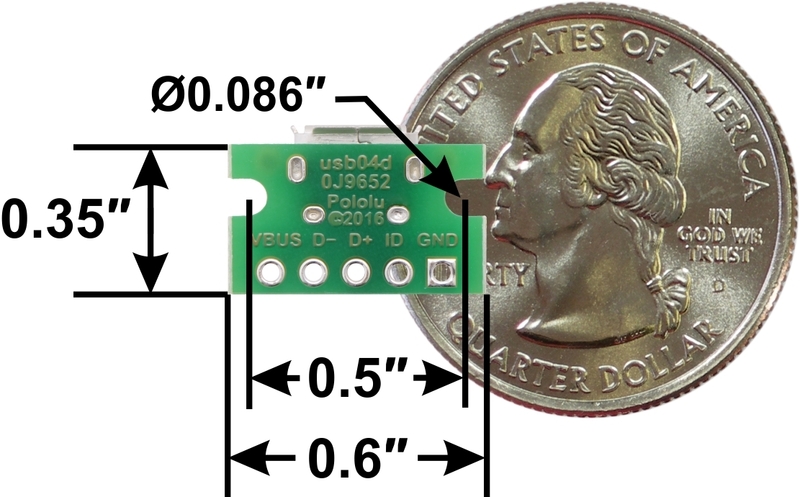 This tiny unit measures only 0.35″ × 0.6″ (0.4″ × 0.6″ including its USB Micro-B connector) and has two 0.086″ diameter semi-circular cutouts for mounting with #2 or M2 screws. 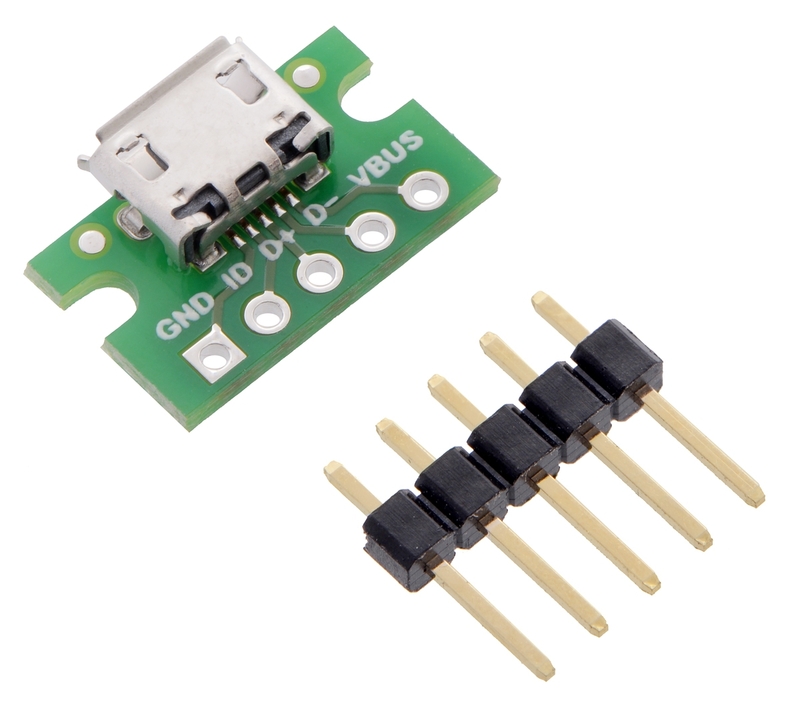 We also carry a USB Mini-B connector breakout board, and we have two power muxes that double as USB Micro-B breakout boards: the FPF1320 carrier and the TPS2113A carrier. These latter two power multiplexers make it easy to have a device that can be powered from both USB and an external supply.